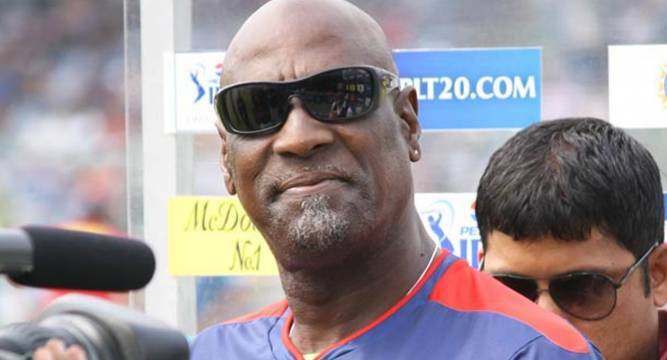 The West Indian batting legend Sir Vivian Richards is open to the idea of coaching Pakistan national cricket team though he feels that the current coach Waqar Younis is doing a “great job”. Richards, who has become a much sought after figure in the ongoing Pakistan Super League, where he is mentoring Quetta Gladiators team, said said he would not decline any coaching offers from Pakistan Cricket Board. “Waqar Younis at present is doing a great job with the Pakistan team but if given an opportunity to take up a coaching assignment with Pakistan cricket I would definitely give it a shot as I believe I have a lot to offer to the game,” the 63-year old said. Considered one of the all-time greatest batsmen in world, Richards said it is sad that international teams are not touring Pakistan. Nadeem Omar, the owner of the Quetta Gladiators team, which was brought for the lowest amount in the PSL, has surprised everyone with its performances. Omar also confirmed Richards’ interest in working with the Pakistani cricketers. “Yes, he has also told me that he is willing to come to Pakistan and work in any capacity with cricketers. He has been a big influence on our players, who are in awe of him. I think hiring him as our mentor has been the best decision,” he said.